Homes for sale in Delano have an average sale price of $275,000 although some homes can be found as low as $150,000 at times to as high as $1.5 million. 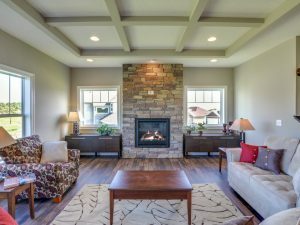 Acreage homes have been a top choice for many buyers, one area you might want to check out if acreage is on your list is the Wildlife Run neighborhood where you will find some truly gorgeous custom homes on private acreage from the mid $300’s and up. You can’t talk about homes for sale in Delano MN without talking about one of the main draws, the schools. Homes for sale in the Delano school district have been in high demand for years, with the schools excellent reviews, world class faculty, award winning sports teams and education statistics higher than most areas it’s no wonder many families put down roots here. Homes for sale in the district will include parts of Corcoran, Delano, Franklin Township, parts of Independence, Loretto, parts of Montrose & Watertown. New home builders in Delano have been busy. A buyer can purchase newer construction in the Parkview Hills neighborhood, Clover Springs and acreage in The Boulders. Delano is a fast growing community located south west of Minneapolis off of Hwy 12 and based along the banks of The Crow River in Wright County. Those living in the city pride themselves on community strength and their award winning schools. The community has come a long way since it was incorporated as a village in 1876. Today Delano holds new housing developments, churches, shopping, new business, banking, modern technology, community organizations and a top ranking school system. Delano also includes such things as its own movie theatre, major shopping, restaurant’s, car dealerships, bowling, pubs, motorcycle and snowmobile shops, health care, banking, real estate, parks, parades and more. Anyone who lives in or near Delano has certainly heard of its 4th of July bash. Delano puts on one of the best parades & carnivals in all of Minnesota. People come from all around to see the 4th of July parade, just another event that draws so many to the city. Delano, like most cities, offers a wide range of neighborhoods. Some of the more popular neighborhoods include — Delano Crossings, Mathisen Addition, Kings Pointe, Parkview Hills, Clover Springs, Fox Meadow & Westridge Hills all of which offer very different amenities. As a home buyer you can search homes for sale by neighborhood (or by other criteria) but before you narrow your options, contact us at 612-282-SOLD for details on what they each have to offer. Delano’s population has sky-rocketed over the last few years. With the recent housing boom, Delano has seen major growth in both housing and commercial business. The current population is just under 6,000 (5,464 at the 2010 census) and the city covers 2.6 square miles. School district #879, has assessment scores consistently ranking among the highest in the state and is becoming one of the most requested schools in the western suburbs. As Delano Realtors, The Derrick Monroe Group prides themselves on knowing the area, being local and our extensive marketing plan that nets our sellers more money than the average agent. We offer a free, no obligation home market analysis’s & staging advice of your home as well as a enclosed moving trailer to make the move to your new home easier. Thank you for using our web site, we hope you found the tools useful. This page is dedicated to Delano real estate only. Listings are updated daily from the Delano MLS so you can be assured to get the latest information right here. If you have any questions about buying or selling please contact our team today at 612-282-SOLD (7653).